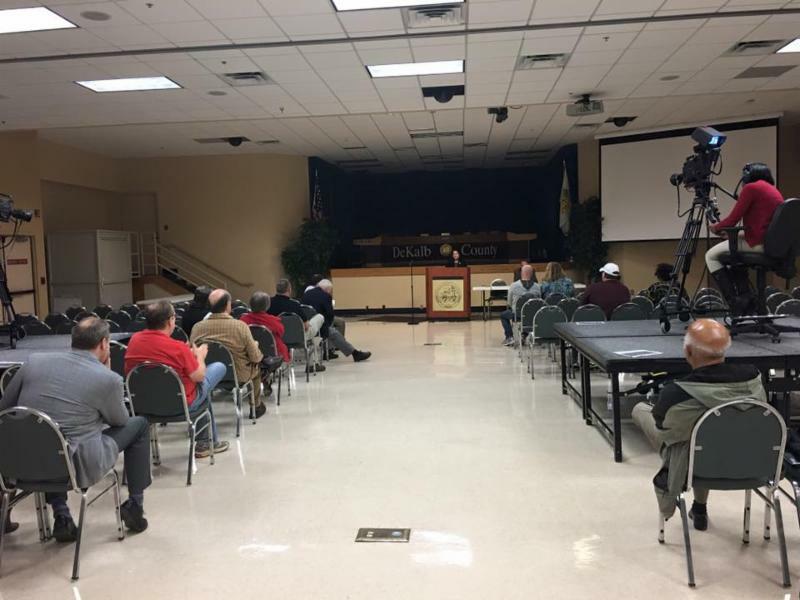 Commissioner Nancy Jester is hosting a countywide Town Hall for DeKalb County taxpayers to discuss the 2016 DeKalb County Budget and the expected $21 million windfall from the refinancing of bonds at low interest rates. 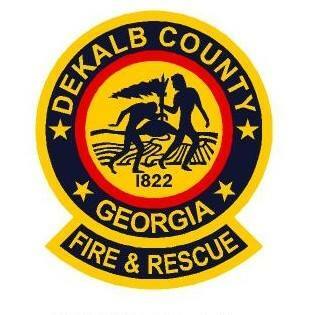 DeKalb County taxpayers will have the opportunity to share their observations on the Budget and offer recommendations and suggestions on how best to utilize the anticipated $21 million in bond money. Georgia Department of Economic Development Commissioner Chris Carr speaking to DeKalb County leaders about the importance of coming together to support the development at the old GM plant in Doraville. Please take the time to click on the link below and read this AJC article, and analysis by Todd Rehm of GA Pundit, about the former GM site. This particular property (165 acres) is larger than the Atlantic Station development. It requires substantial infrastructure work, including connecting the site to the Doraville MARTA station. 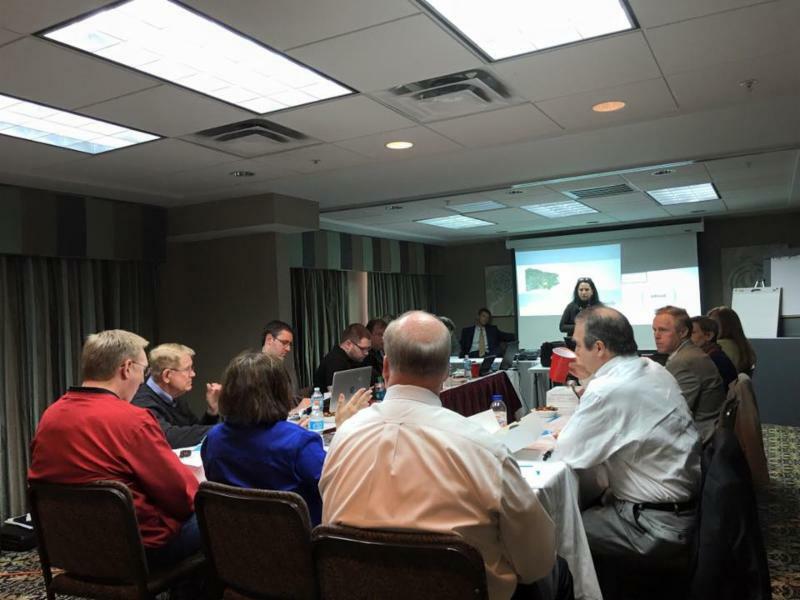 The county and city of Doraville have already agreed to participate in the tax allocation district (TAD) but the DeKalb School District has not even come to the table to discuss the proposal. 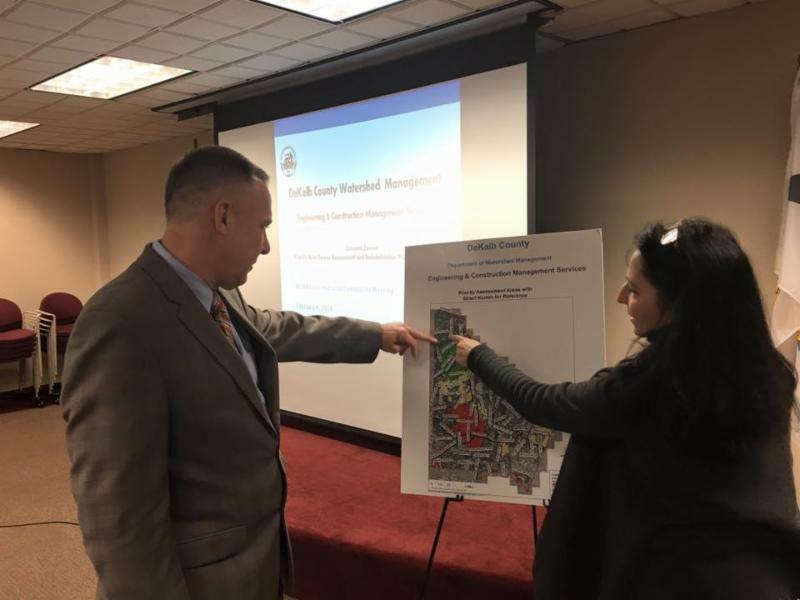 If the school district administration continues to refuse to even discuss this matter, either the Doraville or the DeKalb Development Authority will likely structure a long-term deal that has the net effect of abating every penny of taxes paid on that property. With a TAD every dime gets paid. Join Stan and I in wishing Lee May and his family every success as they transition into service in ministry. During my service on the Board of Commissioners, iCEO May and I have agreed and disagreed on numerous issues, however, I have always appreciated his commitment to DeKalb County. iCEO May inherited a government in crisis and scandal. He worked diligently to address numerous challenges. 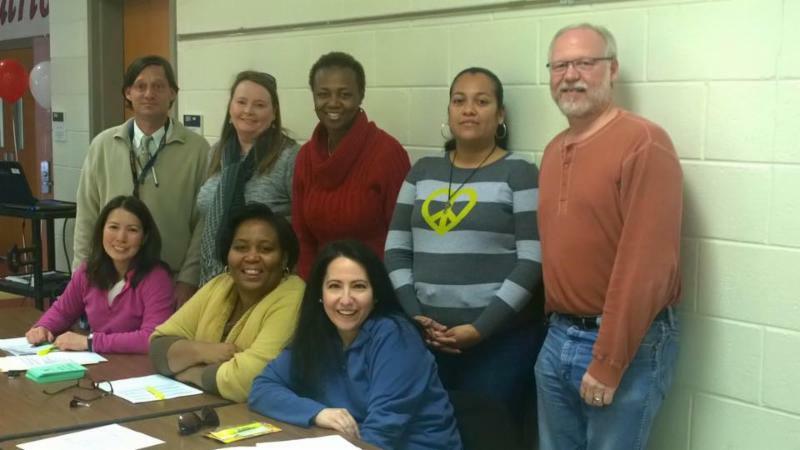 There is much work to be done on behalf of DeKalb County taxpayers in 2016, and I look forward to working with Lee May on these important issues facing the county we both love. Monday, 15 Feb. – Presidents Day observed; no sanitation collection service. Tuesday, 16 Feb. – Residential customers whose regularly scheduled collection day is Monday, 15 Feb. will be serviced on Tuesday, 16 Feb.
Wednesday, 17 Feb. – Residential customers whose regularly scheduled collection day is Tuesday, 16 Feb. will be serviced on Wednesday, 17 Feb.
Thursday, 18 Feb. – Residential customers whose regularly scheduled collection day is Wednesday, 17 Feb. will be serviced on Thursday, 18 Feb.
Friday, 19 Feb. – Residential customers whose regularly scheduled collection day is Thursday, 18 Feb. will be serviced on Friday, 19 Feb.
All Sanitation Division administrative offices, the Central Transfer Station and Seminole Road Landfill will be closed on Monday, 15 Feb. in observance of Presidents Day. However, the North Transfer station will be open from 7 a.m. – 5 p.m. 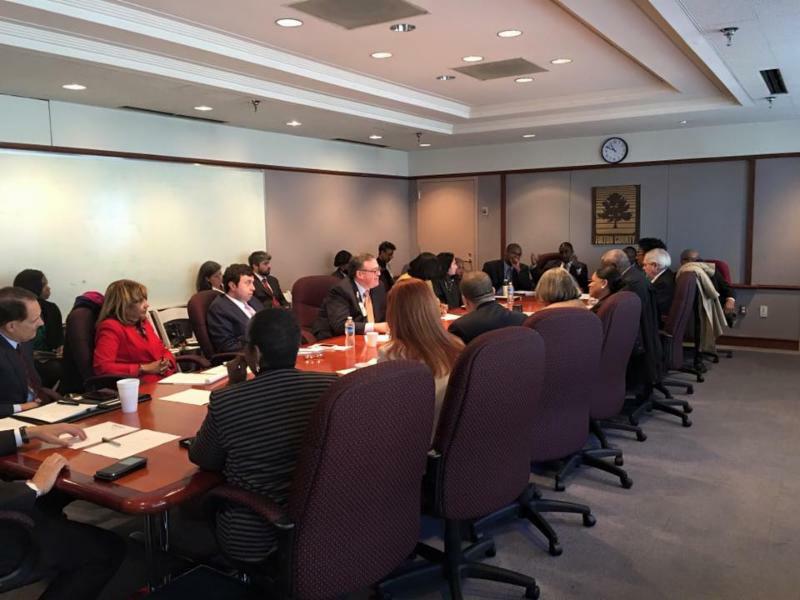 Proud to be part of the combined DeKalb and Fulton Board of Commissioners Task Force working for Grady Hospital. 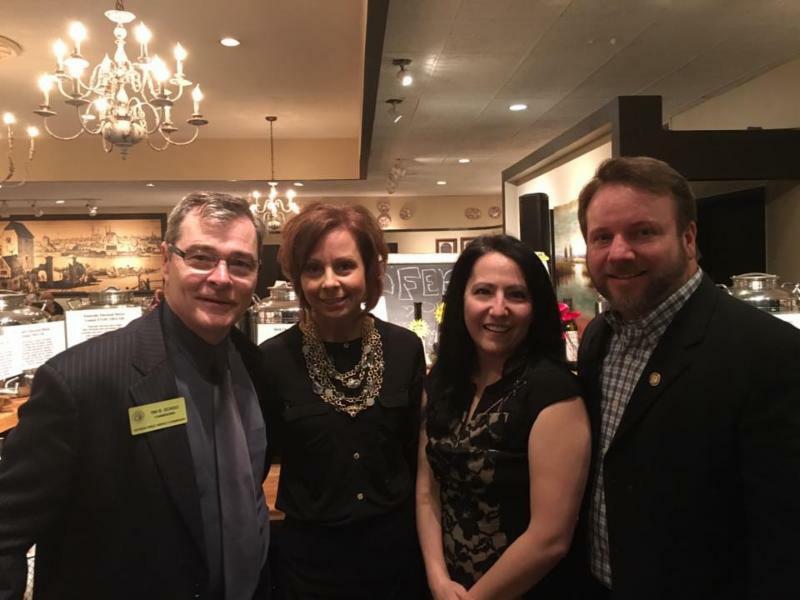 The Nancy Jester “It’s Your Money” Decatur DeKalb County Budget Town Hall meeting. Speaking with Dunwoody city officials on county – city issues. A great morning of volunteer service at Peachtree Middle School. 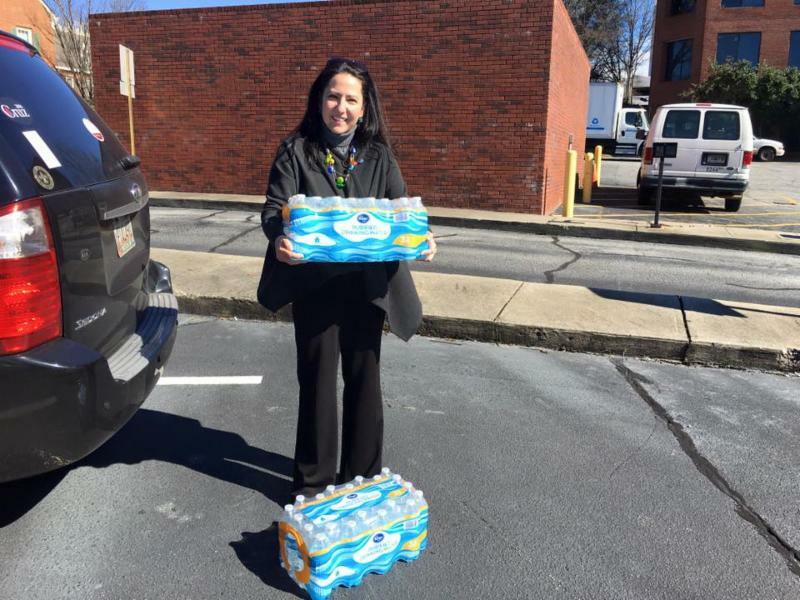 Supporting Commissioner Stan Watson in his leadership of collecting bottled water for the Flint, Michigan community. At Wildcat Royale Supporting the Wildcat Fund of the Dunwoody High School Community Association. 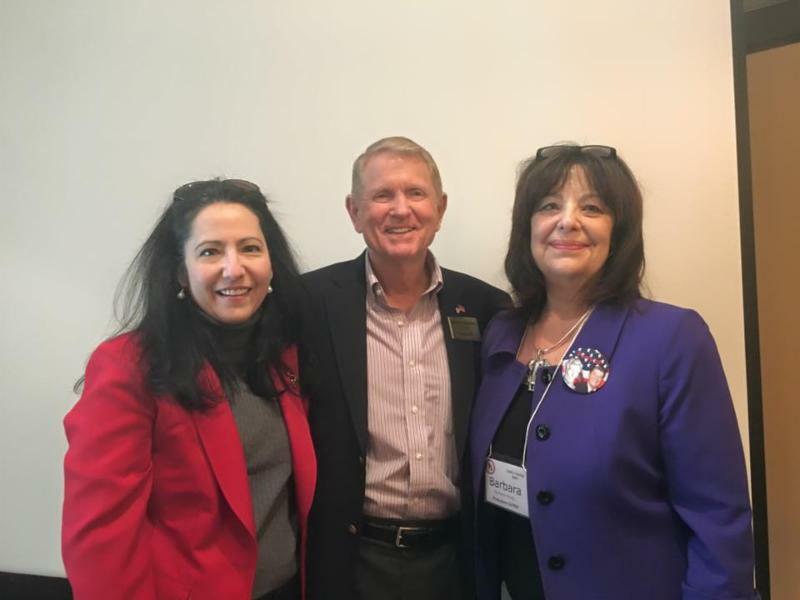 Welcoming the Georgia Federation of Republican Women to Dunwoody with Dunwoody Mayor Denny Shortal and GFRW President Barbara Hickey. 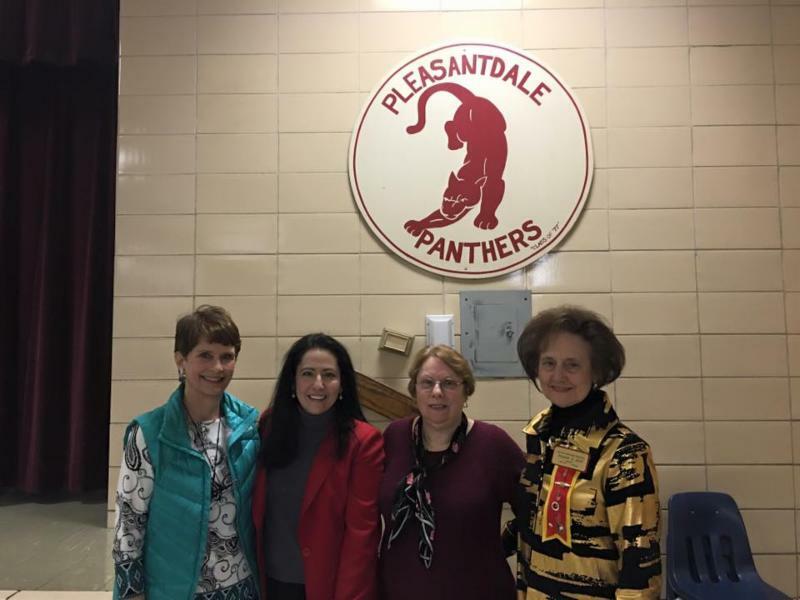 Speaking to Alpha Rho Chapter of Delta Kappa Gamma, an international society for women educators, at Pleasantdale Elementary in DeKalb County. Receiving a briefing from DeKalb County Watershed Management on the countywide sewer test in Dunwoody. 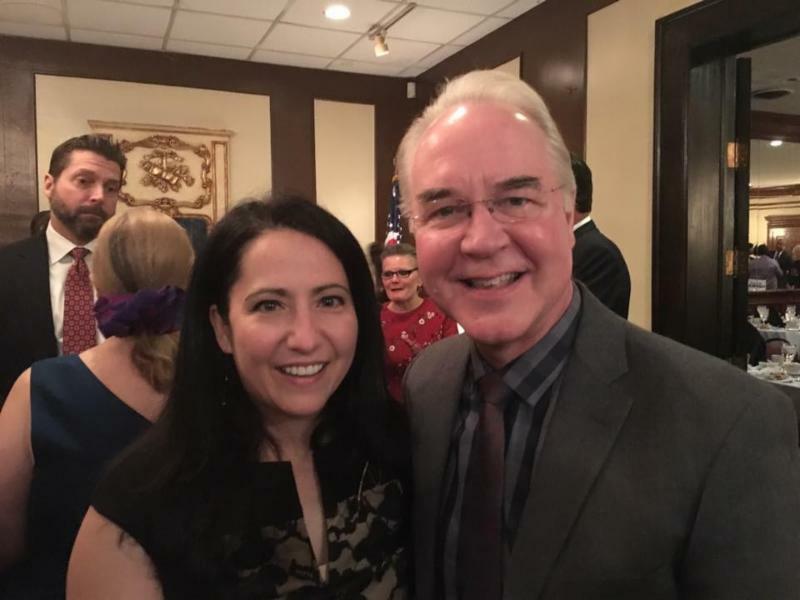 With Congressman Tom Price at the DeKalb County Lincoln Day Dinner. 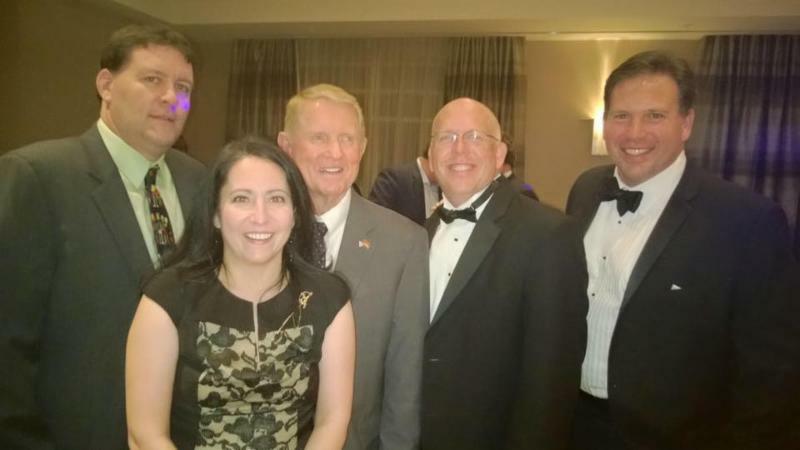 Stan and Nancy with PSC Commissioner Tim Echols and his wife Windy at the DeKalb County Lincoln Day Dinner.